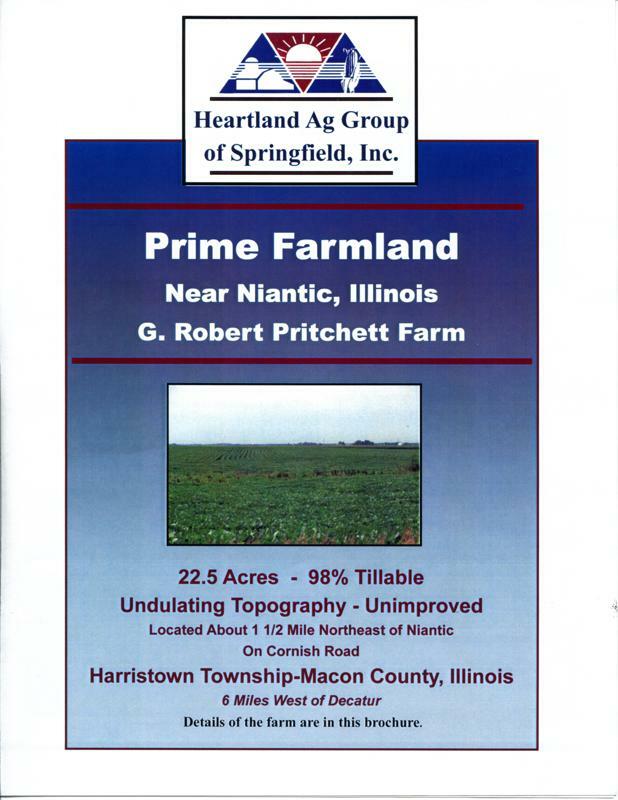 Heartland Ag Group of Springfield helps land owners buy and sell farmland, and acts as a broker to help investors find the right type of property to meet their investment goals. With this information, lenders, farmers, and investors can make informed investment decisions. We have access to a large network of professionals, landowners, farmers, and others with an interest in investing in agricultural property. Our aggressive marketing efforts include personal contact with potential buyers, full color, four page brochures to provide complete information, signage on the property itself, website posting, and advertising in both local and statewide media. Since 2000, these successful marketing techniques have enabled Heartland Ag Group of Springfield to sell over 50 farm parcels totaling more than 4,750 acres with a market value in excess of $15 million. Most importantly, Gene and Ernie are committed to representing the best interests of their clients and always conducting business under the highest ethical standards. Although the information contained on this website is considered to be accurate, no representation or warrantees to that effect are being made. This information is subject to verification and no liability for errors or omissions is assumed. All buyers are invited to make an inspection of the property after calling Heartland Ag Group of Springfield, Inc. for an appointment.